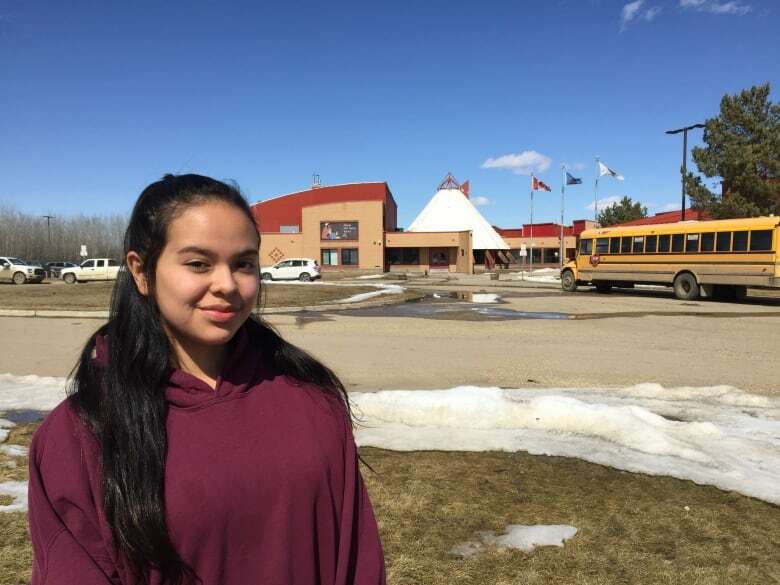 High school students at Alexis Nakota Sioux Nation are being given the opportunity to become community reporters. 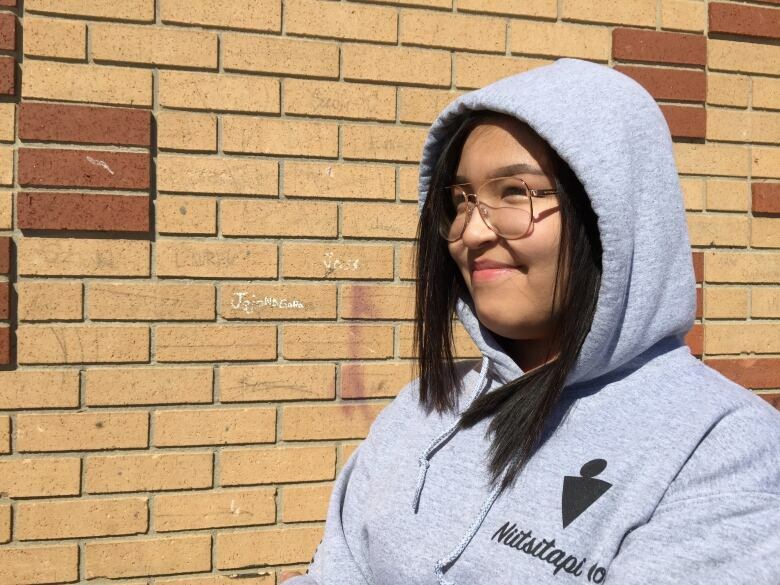 It's part of a pilot project created by CBC Edmonton in collaboration with community leaders to give the teens the tools they need to create their own stories. Abby Alexis, Grade 11, said she's proud of her community and is looking forward to sharing a story. "I think my community is really beautiful because we have the lake and we're always having events and we have a baseball diamond and a skate park and we have an awesome school," she said. "My favourite part about my community is that we are all caring to one another and we are very welcoming to people who are new to the community." Part of the project's aim is to show a side of the community that isn't normally reported on by the media. Abby Alexis said stories often show only the negative side. "There are a lot of good things that aren't shared, like what goes on at this school and no one comes to see what is going on with us," she said. Students from Grade 10 to 12 being worked with mentors to create their stories. For three days during one week in April, they were mentored by a reporter, a videojournalist, an editor and a photographer. 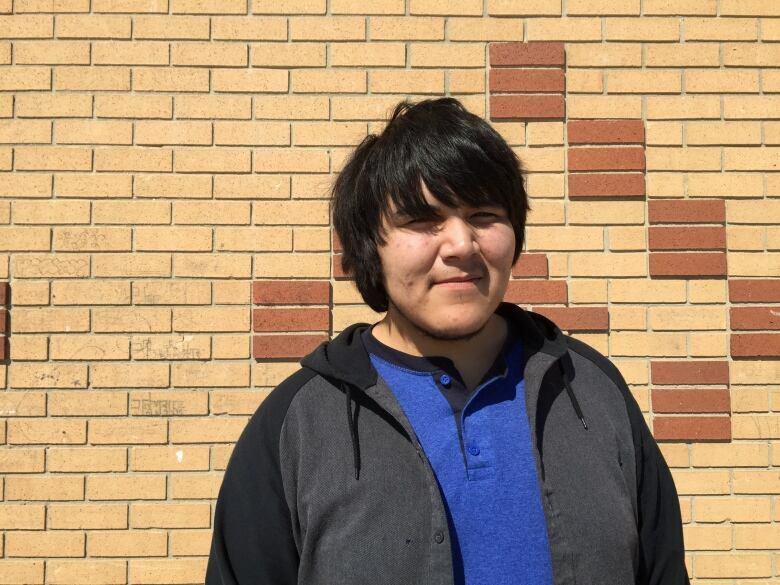 Noah Alexis said having CBC bring mentors into his classroom was almost overwhelming. "It's actually pretty amazing for them to be out here. I didn't think something like that would happen. And I'm well aware of the opportunity we have here," he said. Noah Alexis's project will focus on one part of the community's history — a former courthouse that burned down that used to be a residential school. "I recall a few of our grandmothers and grandfathers used to come here and I heard a few stories of basically abuse here. I heard from one of my grandmas talking about that and their experience about coming here," he said. Near the empty lot where that building stood is the arbour. It's were the community's pow wow is held every summer. Sebastian Cardinal is one of two potential graduates this year. He's also the leader in the classroom. He said hundreds or people attend the pow wow from all over. But it's an event he sometimes avoids. "Sometimes it gets crazy here and sometimes it's alright and fun but there's a lot of fighting and drinking ... bad stuff," he reflected. There were other bad things he didn't want to talk about. Instead, he shared what happens around the arbour. "Usually you see a lot of people smiling, having fun, dancing, enjoying the music, and making the best memories. You meet new people here every time you come," Cardinal added. Also a talented artist, Cardinal can usually be seen with a pencil or smudging utensil in hand. Jokingly, he said his project will have a different focus. "Make a YouTube channel, try to get famous." Tanisha Alexis is the other potential graduate. She is extremely motivated to complete one of the assignments they've been given. She's taken a photo of the school and community flags flying outside her classroom and has already written a full story on the importance of school, community and their customs. She also wants to publish a story about language. "Stoney language. A lot of people call it Isga. I can write the words up to 100, I know the seasons, the months, colours, animals, food, utensils," she said. The community's school teaches Isga. Tanisha Alexis said that's an important step in keeping the language alive. "Because one day it could get lost and if that were to happen it would be sort of a bad thing." she said. Sebastian Cardinal looks on in the arbour of the pow wow grounds. (CBC/Meagan Fiddler)Project leaders from CBC will return after a few weeks to help the students finalize their stories and get them ready for potential publishing in May. The hope for CBC Edmonton is to grow and expand the project to include more First Nations going forward. "I think it's pretty cool having them here. It's not something we get to see everyday so we should take advantage of it while it's right in front of us," Tanisha Alexis said. "Thank you for being here."